The second Easter race from Ryde Harriers on Easter Monday was the West Wight 3 Hills. I expected the race to be the more challenging of the two however because I was mentally prepared for it I actually found it easier in a ‘this is tough but I’m still doing it’ sort of way and was relieved to have hills and not the leg sapping ankle-deep mud. The first two miles were a small loop up a hill and back into Freshwater, lulling me into a ‘I can do these hills’ state of mind. If only I knew! From there the course began to climb, and climb. At first on small country roads, then out onto footpaths and Headon Warren. We climbed up and up and eventually I walked (I realised I was faster walking than a few runners around me) where I could admire the view back over the Solent to Hurst Castle. 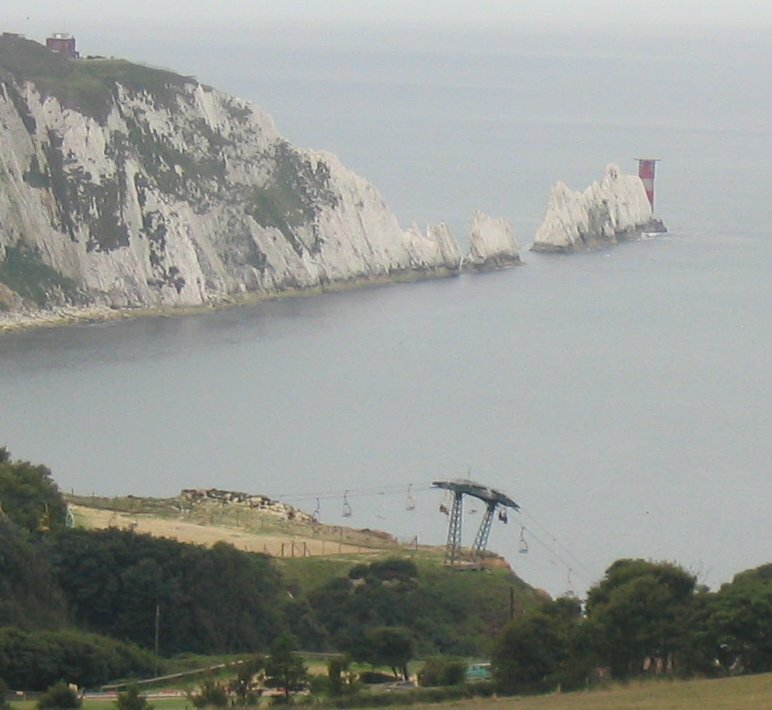 Towards the top I tore myself away from the view and got running again on sandy trails through the gorse brining us out right above the Needles park, its cable car and a view of Alumn Bay and the Needles before we dropped down to road level. I could then see a line of runners up to the downs in the near distance in front of me climbing up a pretty much vertical bank. There were actually footsteps worn into the grass almost like steps up the bank and at the steepest point I resorted to four-wheel drive. Thanks to all those bunny hops, bear crawls and squats recently my legs only felt like jelly by the top rather than being actually turned to jelly. 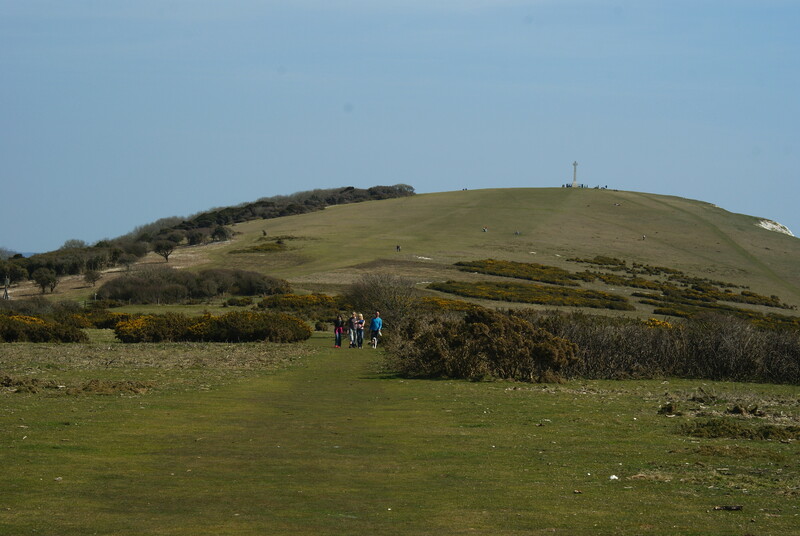 Once I regained my composure we ran across the downs battered by the cold wind and on to the last climb up Tennyson Down to the Tennyson monument. At this stage all I could see was cloud and grass as we were above everything else and thought that maybe I should recite a bit of Tennyson poetry if I could remember (knew) any. 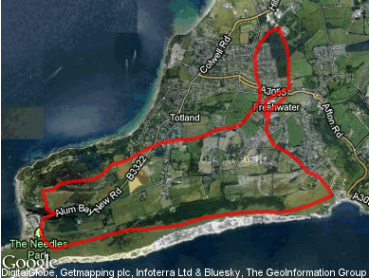 Then came the best bit with a fast decent from the top of the downs into Freshwater bay before the last mile or so home. It wasn’t too steep and on nice soft grass so I stopped myself from holding back and went for it passing a few people on the way down and seeing my garmin show a decent bit of pace similar to some of my best interval miles. Another small, well organised friendly race with 110 finishers. Possibly one of the most challenging races I’ve run and certainly the most scenic. I am surprised that more people haven’t found these two great multi terrain Easter races which at 7 and (just under) 8 miles can give you a couple of shiny new PBs and not affect your 10K/10mile/HM stats. They are certainly worth combining with an Easter break on the Island. Ryde Harriers put on a very good race and the Isle of Wight supplies some stunning scenery. Categories: Race report, running | Tags: Isle of Wight, Races, Ryde Harriers, Tennyson Down, trail running, West Wight 3 Hills | Permalink. Well done on those hills. Looks beautiful. Sounds very tough to me! Well done for doing it however – the pictures look stunning!